"The Church in Kenya is growing stronger every day!" Many Kenyans call themselves Christians, yet among the Maasai people the numbers remain low. The need for new and strengthened Maasai churches compels us. The purpose of AfricaHope’s Church Ministry Program is to empower the local church in the restoration and transformation of communities. 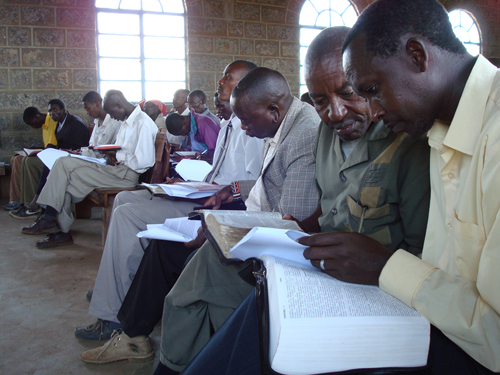 In addition to pioneer evangelism and church planting, AfricaHope equips church leaders to be more effective servant leaders through community Bible studies, small group discipleship, and regional pastors fellowships.